Prince George’s County Executive Rushern Baker has picked Elizabeth Embry to be his running mate in Maryland's Democratic primary race for governor. Baker will make the announcement Tuesday morning in Baltimore. Embry ran for mayor of Baltimore in 2016 and is currently the chief of the criminal division of the Maryland Attorney General's Office. Baker has served as county executive since 2010 and has a political career that spans 25 years. He announced his plans to run for governor last June. 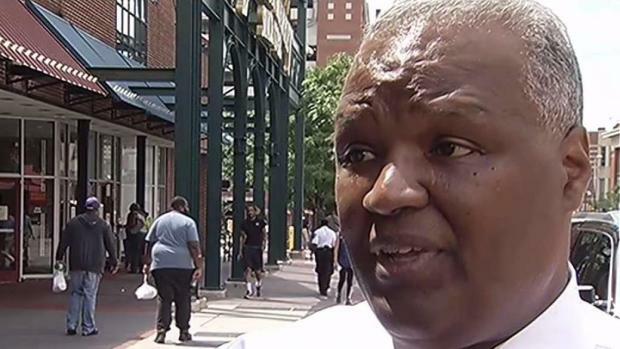 Prince George's County Executive Rushern Baker spoke with News4's Rushern Baker about why he will run for governor of Maryland. "Look what I've done in Prince George's County, but more importantly, the issues I care about statewide," he said. There are a number of candidates vying for the Democratic ticket. The primary field includes state Sen. Richard Madaleno, Prince George's County Executive Rushern Baker, former NAACP president Ben Jealous, entrepreneur Alec Ross, former aide to Michelle Obama Krish Vignarajah , Baltimore County Executive Kevin Kamenetz and lawyer Jim Shea. Most of the Democrats running in the crowded Maryland primary for governor have announced their running mates, and four out of five of them so far are women. 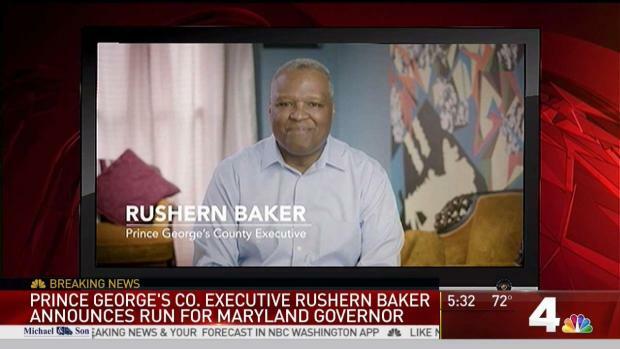 Prince George’s County Executive Rushern Baker has announced he will run for governor. On Monday, Sen. Richard Madaleno named Luwanda Jenkins, of Baltimore, as his running mate. Ross chose Julie Verratti, a Montgomery County craft brewery owner. Jealous has chosen Susan Turnbull. Shea announced Baltimore City Councilman Brandon Scott as his running mate last week. Kamenetz and Vignarajah have not yet named their running mates. The candidate filing deadline is a week away.